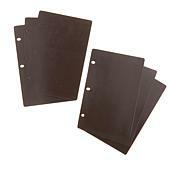 Organize over 200 sheets of 12" x 12" paper with ease! 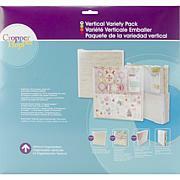 There are 12 tabbed pockets with labels included and a convenient sliding lid for easy paper access. 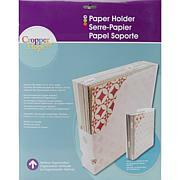 Love this product and highly recommend for keeping paper clean and straight. I draw a lot and have become an adult coloring fan. 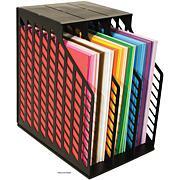 Keeps my favorites divided in their specialty or color where I can find them immediately, clean and paper not bent out of shape. 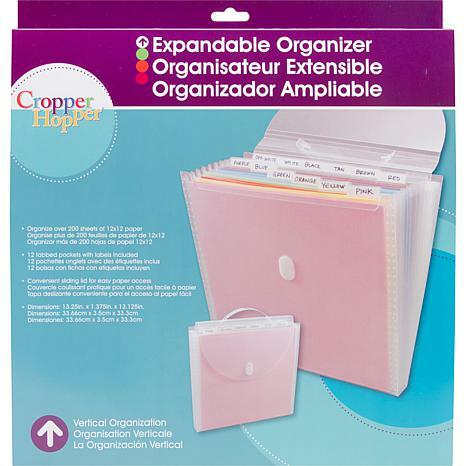 This is really a nice paper holder, it gets a little heavy when completely filled with paper and I would not carry it by the handle, which is not that sturdy, but it is great for keeping paper colors sorted and it has labels for ease in finding what you need. It's great to have.